" While electric vehicles currently make up less than 1% of global fleet, the change in customer attitudes and widespread interest from car makers, energy providers and start-ups makes this a market with high growth potential. " The road transport sector is undergoing a huge transformation. Over the last several years, momentum behind electric vehicle (EV) sales has shifted markedly. Tesla has led a sea change in consumers’ perception of EVs (from green and nerdy to cool and futuristic), and, accelerated by the travails of diesel-gate, the major car-makers have one by one begun to put their investment dollars and engineering prowess behind electric drive trains. In many countries, policy-makers looking to reduce carbon emissions and address the shocking impacts of poor air quality are facilitating this through incentives for alternative fuels and restrictions on sale or use of petrol and diesel vehicles. At the same time, generational shifts in attitudes to cars and asset ownership, combined with huge strides in technology and AI, are driving a parallel shift in the future of mobility, away from driving your own car and towards services provided by autonomous fleets. The impact of this transformation is not limited to the vehicle sector. Physically, EVs are both a new and growing form of electricity demand, and have the potential to act as a huge volume of batteries plugged into the electricity system. Commercially, previously well-separated beasts are rubbing up against each other as oil majors, utilities, and carmakers find themselves seeking out their place within the EV terrain, surrounded by a swarm of start-ups. 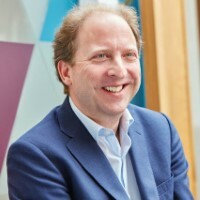 We are working with our clients to help navigate a path by exploring future scenarios, working on new business models and partnerships, developing and rolling out consumer propositions, exploring the commercial and technical implementation of smart charging, assessing electrification opportunities for fleets and considering the multiple impacts across businesses from retailers to insurance companies. Please use this part of our website to read examples of our work and thinking.